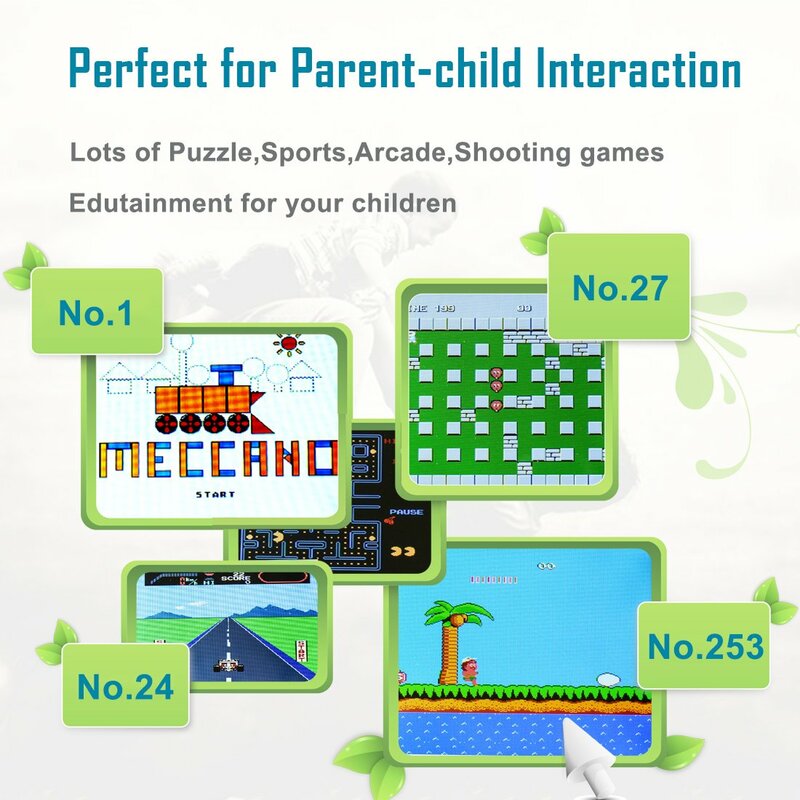 ★Classic Games: Built-in 268 retro style games - exciting and challenging, there are always some for your kids do! When you have time, you can play too, maybe this experience is very good. If you can play better than your kids, maybe they will treat you as a superman or a hero, haha. ★Simple arcade style controls, easy to use and quick to master. Convenient size and lightweight – Perfect for travel or on the go. 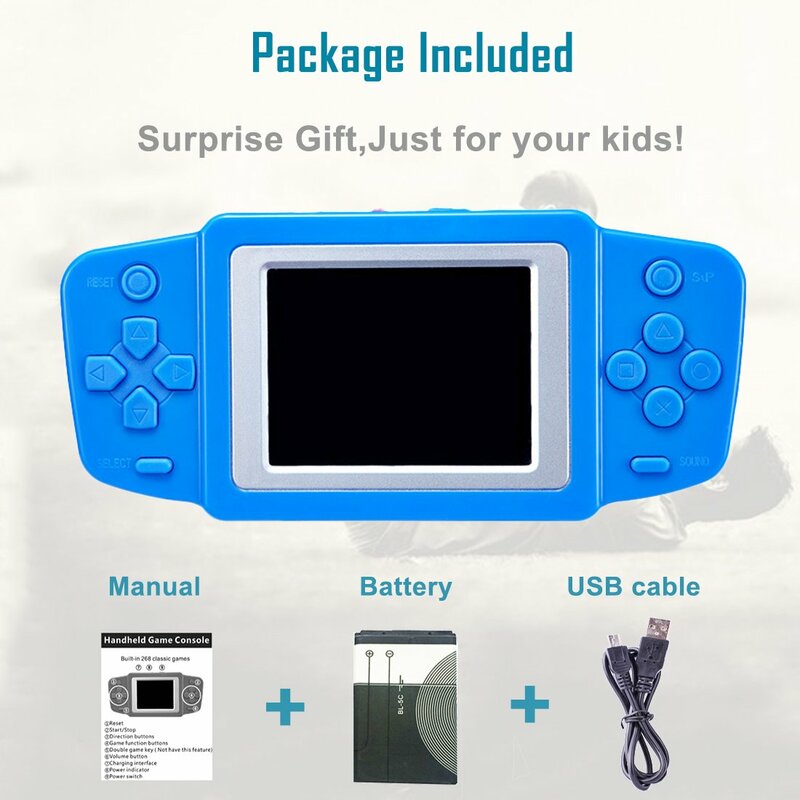 ★2.5" LCD screen,with Voice and control.Dimensions:0.48×0.22×0.07 inches.Fits easily in your pocket. ★Power: Rechargeable Lib or 3 x AAA batteries - double choice, simple and convenient. ★P.S. : I believe you will love it very much, and it will accompany you like a good friend for some time. Otherwise, if you are not satisfied,we will give you a full refund or a free replacement. Please feel free to buy.